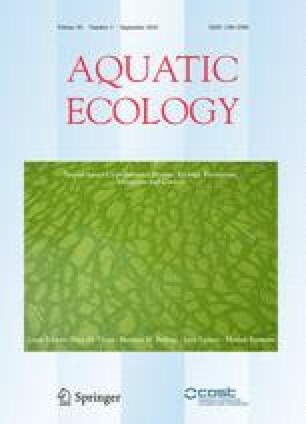 Anticipated climatic changes combined with eutrophication are predicted to enhance the dominance of several notorious cyanobacterial taxa. Cyanobacteria have many key ecological traits that may allow them to thrive under foreseen scenarios of environmental change. Understanding the ecophysiological traits of harmful species has proven important for their successful control and management. Indeed, if the links between key cyanobacterial traits and the specific environmental conditions that allow expression of these traits can be disrupted, we could identify (novel) means for operational control and mitigate or prevent water quality problems. A good example is artificial mixing of a lake that breaks down the water column stability on which fast floating, buoyant cyanobacteria depend. Based upon Reynolds’ functional phytoplankton classification, we focused on five groups of cyanobacteria that from a management point of view can be seen as homogeneous and have comparable environmental sensitivities. For each group, we present (1) its key traits, (2) how these characteristics will maintain their function under future environmental change, (3) explanation of how understanding the function of these traits can reveal the “Achilles heel” of the particular functional group and (4) which (combination of) control measures is most likely to be successful. Despite looking for specific environmental sensitivities of individual groups, we maintain that controlling nutrients remains the basis for managing blooms, no matter which functional type dominates. Providing further ecological knowledge to lake management could be the key to effective bloom control and healthier, sustainable freshwater ecosystems even in a warmer future. Guest editors: Petra M. Visser, Bas W. Ibelings, Jutta Fastner & Myriam Bormans/Cyanobacterial blooms. Ecology, prevention, mitigation and control. We would like to acknowledge two EU COST Actions; ES 1105 “CYANOCOST—Cyanobacterial blooms and toxins in water resources: Occurrence, impacts and management” and ES1201 “NETLAKE—Networking Lake Observatories in Europe” that offer us the possibility to develop the idea of this manuscript through numerous discussions with experts and researchers on cyanobacterial blooms. We would also like to thank all the anonymous reviewers for helping us improve our manuscript with all their constructive comments.